Isn’t Aberdeen grey and boring? This is a common response when we tell people about living and studying in the North of Scotland and it couldn’t be further from the truth. Aberdeen student life presents a chance to experience beautiful scenery and hosts an abundance of great places to go out and visit. Being the third largest city in Scotland and also the safest, there is plenty on offer to make your student life unforgettable. Let us show you a good time in our beloved Granite City: Listed below are class recommendations of all the places to be and see during your time in Aberdeen. Aberdeen is full of quirky and new places to eat. From The Long Dog Cafe to The Sushi Box, there is something for everyone’s taste. For the health conscious The Foodstory Cafe offers a full menu of flavoursome vegetarian dishes. 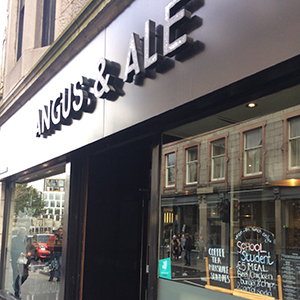 And for the meat-lovers Angus & Ale is the place to be. 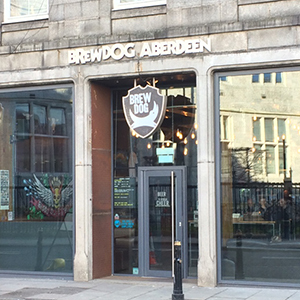 If you have got a taste for world-class craft beer, then visit Six Degrees North or just take a short walk up the road and you will find Brewdog’s founding bar here in Aberdeen. If sweet-tasting cocktails are more your thing then The Tippling House is definitely for you, they will whip up any concoction to your liking. 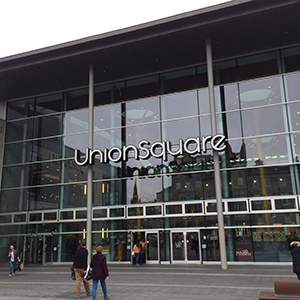 If the sun is hiding, you can spend your Saturday afternoon in one of Aberdeen’s shopping centres: Union Square, Trinity Centre, Bon Accord and The Academy. Find the perfect outfit for graduation as well as the ideal sporting attire, all under one roof. Or take a walk down Union Street, which hosts a number of designer stores. RGU Sport is a hub of modern sporting facilities, including a climbing wall, three gyms and a wealth of fitness classes to choose from. 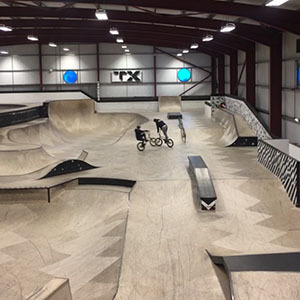 If you are feeling like taking a risk, head down to the beach and find Transition Extreme, which offers sporting facilities that will get your adrenaline pumping. Once you are at the beach, why not try windsurfing or simply take a scenic run at the promenade. Take a trip to Codonas to have some fun and bond with your new friends. Don’t be worried about missing the latest film releases as Aberdeen has a choice of three modern cinemas and one unique Filmhouse, located on Belmont Street. For live performances visit AECC or His Majesty’s Theatre (HMT) providing you with the latest shows and big names. Visiting HMT will also give you a chance to see your future graduation venue. A short train journey from Aberdeen will get you the beautiful seaside town of Stonehaven. 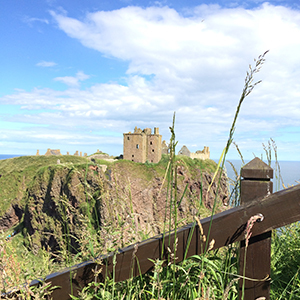 Here you can enjoy Aunty Betty’s ice cream and take a walk up to Dunnottar Castle. 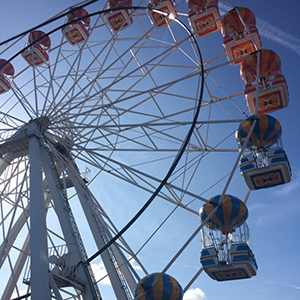 Take a trip inland to Braemar and visit the Cairngorms National Park and explore the Royal Deeside. Keen hillwalker? Take your pick from 40 Munros or enjoy the footpaths through local villages and glens. First things first: Getting around Aberdeen couldn’t be easier, public transportation to and from RGU is operated by First Bus. Take the number 1 or 2 towards Garthdee Campus or get the bus right in to the city centre (make sure you have coins handy, as the bus driver is not giving change!). Or simply download the First Bus App and have your tickets on your phone, whenever you need them. There are excellent student rates that will make every journey more reasonable. In Scotland, student discount opportunities can be found everywhere and help you to save a little money every day. Sign up to Unidays and get discounts in fashion, food and fitness. Do not hesitate to ask for student discounts in stores either by simply presenting your student card. Most shops, restaurants and free-time activities offer better prices for students. Whether you are a parent, or planning to have a part-time job, or need recommendations on interesting podcasts to follow, then make sure to keep up to date with our blog, where we publish interesting posts about everything related to our life as Digital Marketing students. Intrigued? Find out more about the MSc Digital Marketing at RGU and start your student experience in Aberdeen.